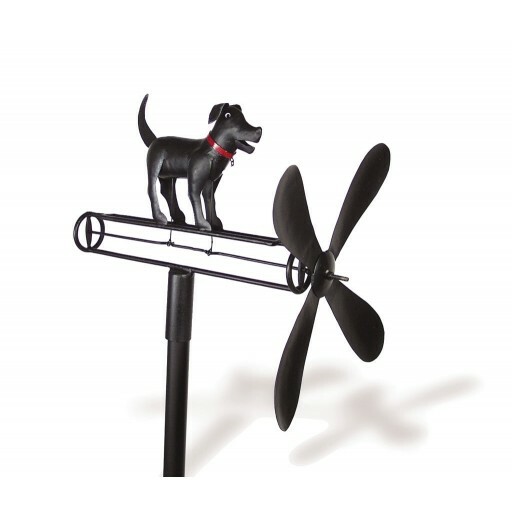 If you love your Black Lab, you will love this Black Lab whirligig! A Wind-powered Kinetic Sculpture for the Garden is made of metal. Watch this whirligig in action spin with the wind. The black lab will wag its tail and move it mouth in a manner that we all are familiar with. In Use Dim (inch): 12.00x10.50x56.50 See action below.